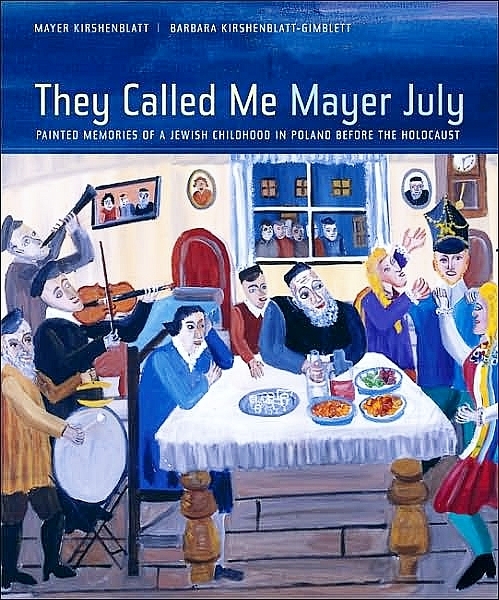 Watch here for ideas for teaching They Called Me Mayer July. Gershon Hundert, The Jews in a Private Polish Town: The Case of Opatów in the Eighteenth Century. The Johns Hopkins University Press, 1992. Memorial book for Apt (Opatów) in Yiddish, Hebrew, and English at Yizkor Books Online, New York Public Library. See also excerpts in English at JewishGen. Image Before My Eyes: A History of Jewish Life in Poland Before the Holocaust by Lucjan Dobroszycki and Barbara Kirshenblatt-Gimblett, a book and documentary film. Awakening Lives: Autobiographies of Jewish Youth in Poland before the Holocaust edited by Jeffrey Shandler. Yale University Press, 2002. Marcus Moseley, Life, Literature: Autobiographies of Jewish Youth in Interwar Poland. Jewish Social Studies 7, 3 (2001): 1-51. Barbara Kirshenblatt-Gimblett, Introduction, Life Is with People: The Culture of the Shtetl by Mark Zborowski and Elizabeth Herzog. Schocken Books, 1995. Barbara Kirshenblatt-Gimblett, Imagining Europe: The Popular Arts of American Jewish Ethnography, in Divergent Centers: Shaping Jewish Cultures in Israel and America, edited by Deborah Dash Moore and Ilan Troen. Yale University Press, 2001, 155-191. From Shtetl to Socialism: Studies from Polin edited by Antony Polonski. Littman Library of Jewish Civilization, 1993. Jeffrey Shandler, Adventures in Yiddishland: Postvernacular Language and Culture. University of California Press, 2005. Harry Lieberman: A Journey of Remembrance--book, film. 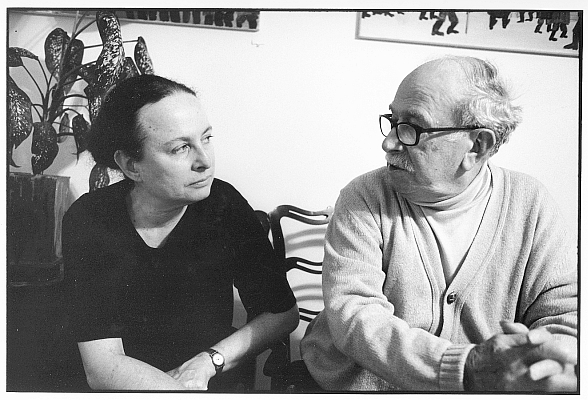 Esther Krinitz: Memories of Survival--book, exhibition, film. 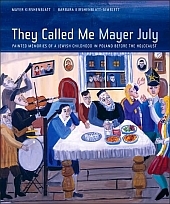 Toby Knobel Fluek, Memories of My Life in a Polish Village, 1930-1949--memoirs, Passover book, exhibition, film. Pop Wiener: Naive Painter by Joanne Bock. University of Massachusetts Press, 1974. Available used from http://www.bookfinder.com. Morris Hirshfield by William Saroyan, Sidney Janis, Oto Bihalji-Merin, and Franco Maria Ricci. Rizzoli International Publications, 1976. Ilex Beller, Life in the Shtetl: Scenes and Recollections. Holmes & Meier Publishers, 1986. Nikifor: book--S̱wiat Nikifora by Aleksander Jackowski et al. Slowo/obraz terytoria, 2005; film, exhibition. Marianne Hirsch, Family Frames: Photography, Narrative, and Postmemory. Harvard University Press, 1997. Art Spiegelman, Maus: A Survivor's Tale: My Father Bleeds History/Here My Troubles Began, 2 vols. Pantheon, 1993. Ann Kirschner, Sala's Gift: My Mother's Holocaust Story. Free Press, 2006. Number Our Days: Culture and Community Among Elderly Jews in an American Ghetto by Barbara Myerhoff. Dutton, 1978; film. Remembered Lives: The Work of Ritual, Storytelling, and Growing Older by Barbara Myerhoff, edited by Marc Kaminsky. University of Michigan Press, 1992.